Much has already been said about Apple’s plans for the iPhone this year. Many still hold the view that the company will be releasing as many as three new models this year, notwithstanding the fact that iPhone 5 was released barely a couple of months ago. Today allegedly leaked pictures of iPhone 5S/6 speakers were posted online and rest assured this is one of many component leaks we’ll be seeing over the coming weeks. As it stands right now, the rumor mill believes that a cheaper iPhone is going to be released this summer alongside an iPhone Math with a 4.8 inch display. 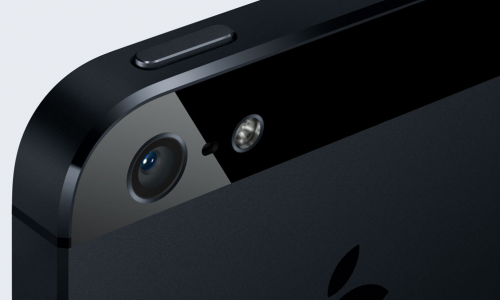 The iPhone 6 will be released in fall and it will feature an all new design among other things. When asked about the possibility of an iPhone with larger screen, Apple CEO Tim Cook offered a diplomatic reply which left the door wide open for future iPhone models with big, gargantuan screens. The company has always released one iPhone per year ever since the first one came out in 2007 under the impeccable leadership of Steve Jobs. Will Apple take an entirely different route under Tim Cook? It remains to be seen. 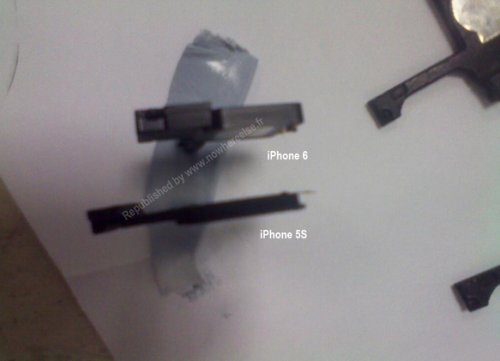 A French blog posted pictures of what allegedly are leaked iPhone 5S/iPhone 6 speakers. Usually before a new product is about to be released we get to see a lot of purported component leaks. They’re not always spot on, so it would not be wise to believe every other rumor or every other component. The blog claims that the speaker components are for iPhone 5S and iPhone 6, manufactured by a component supplier for Apple. Their source apparently works for that supplier. They also posted a picture of the same components, with a picture of the iPhone 5 speaker component superimposed so as to put matters in to perspective. The difference between them is quite apparent, but it is odd that components of both the iPhone 5S and iPhone 6 leaked at the exact same time. Something is definitely amiss here. According to their source the iPhone 5S is expected to be released this summer whereas the iPhone 6 will be released sometime in fall. Nothing new about this tidbit, to be frank. As mentioned earlier this is just the first of many parts and component leaks. If all the rumors of three new iPhones in one year do turn out to be true, it is going to mark the beginning of a new era at Apple. It will definitely be interesting to see how the markets will react to such a dramatic change by the fruit company.